As I am certain several EUW players noticed, we never hosted the planned EUW featured matches over the weekend. As was announced, we were trying to relaunch EUW featured matches with those games meant to be a trial run. Sadly, there was far too few sign ups to organize the games. While we would love to host featured matches for EUW, it is just not possible to do so for the foreseeable future. For all the player who want to see featured matches in the regions other than NA, your best bet would be to recruit new factions members and organize games. Just maybe if your region gets a large enough active player base, perhaps we can start up featured matches there. The Harrowing is here! This weekend’s featured matches are taking place just after its arrival. How are we going to acknowledge its presence? By winning the featured matches of course. We are encouraging everyone to bring both their a-game and their best skins (costume party!) to the featured matches this weekend. A spooky surprise just might occur this weekend. Island exploration will be the main prize going forward. Bilgewater has already won (from its overall victory in the first part of the arc) the right to explore Avalon; that event will be posted in short order. It’ll be a somewhat simpler exploration event, introducing the basic concept. 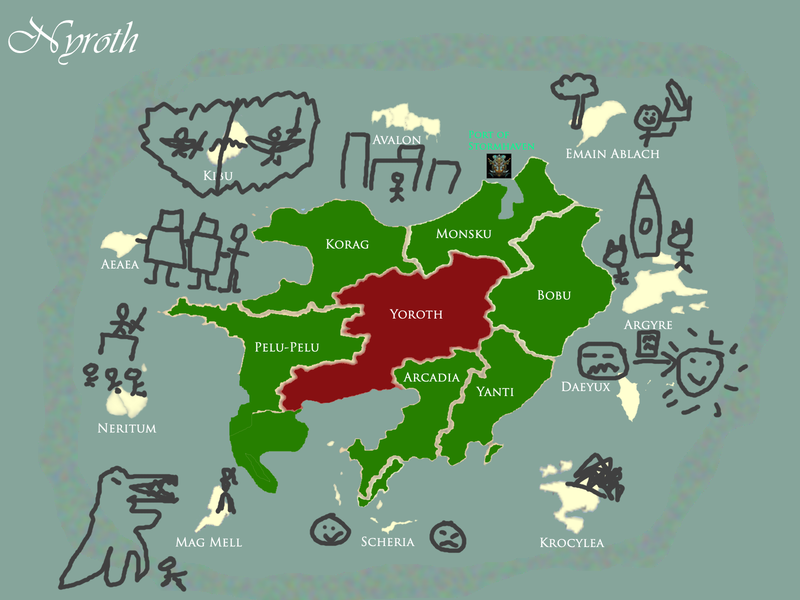 Exploring an island will reveal something about Nyroth, pose a decision, and then have a resolution that factors in the faction’s strengths and weaknesses as well as a moderate dose of chance. At the end of the day, the faction will gain a reward, which might be Research points, money, Favor with the League, a new Champion recruitment option, or something else of commensurate value. There may be opportunities to recruit another faction’s help in exchange for sharing the rewards. A faction that goes 3–0 will be allowed to select any other island to explore, and will become that island’s overseer. It will also pick up another bonus, varying week by week. This week’s secondary prize for a 3-0 faction will be 20 commerce. A faction that goes 2–1 will be allowed to select any island within the current quadrant that has not yet been explored. The current quadrant is the northeast, which contains Avalon, Emain Ablach, Argyre, and Daeyux. A faction that goes 1–2 will be given a mainland mini-quest, essentially a simpler, smaller version of island exploration. Nov. 2 is my birthday, and I’d love nothing more than to represent my beloved Freljord. Alas, I’ll be with family. I trust Wrath or Rust to play some bang-up Ashe in my place! Get ’em, boys! So I have a question about world mechanics. We were told that as a project progresses through the stages, we will get bonuses from the project that are dependent on what stage the project is in. I was just wondering when we would find out what those bonuses were. I know that this doesn’t take priority, but I was just wondering when that would be taken care of. They’re waiting until the Balance of Power is updated so that when the research is double checked they can see if the factions actually get the stage advancement bonuses and the bonuses are meant to be random or based on the research. lets play this week on hexakill :) can we do hexakill custom maps? If you can successfully petition for a change of field this week you can.